The air was thick with dancing fireflies, and the girls kept catching them to put in their jar, where they would refuse to glow. Mr. B caught the beauty you see above. 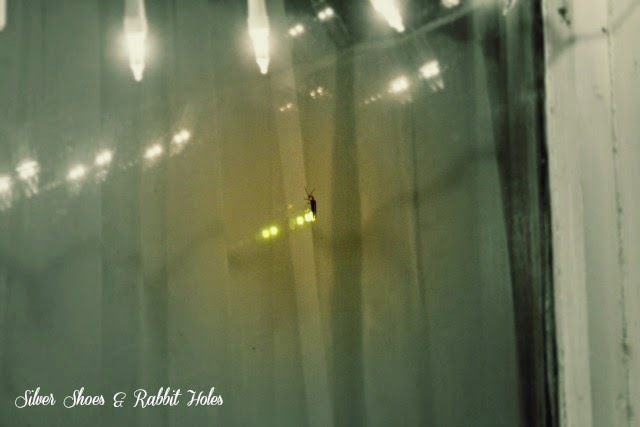 I like this picture I managed to catch of a firefly on our front window. Look at the glow, reflected in the glass. I know that fireflies - or lightning bugs, as my Okie mother calls them - are not a part of everyone's summers. If you can't see fireflies in person, how about meeting some in books? Fireflies! by Julie Brinckloe. Aladdin, 1986. A beautifully illustrated story about a boy who catches fireflies in a jar, then must make a choice when it becomes clear their light is fading. Sam and the Firefly by P.D. Eastman. Random House / Beginner Books, 1958. 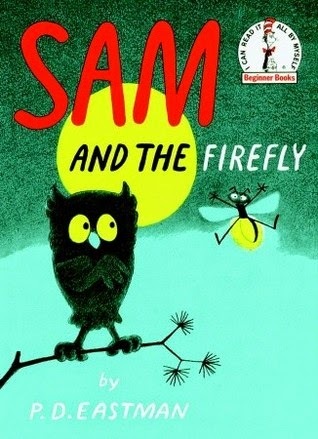 A classic about an owl who finds a playmate in a firefly named Gus. Together they write words in the air, but Gus has a mischievous streak, which causes problems between the duo. 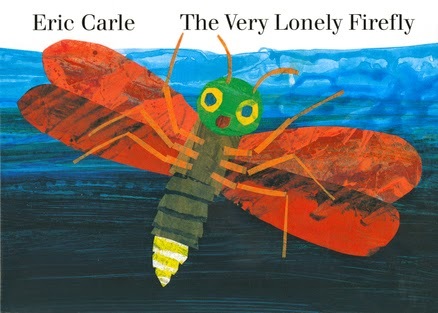 The Very Lonely Firefly by Eric Carle. Philomel, 1995. 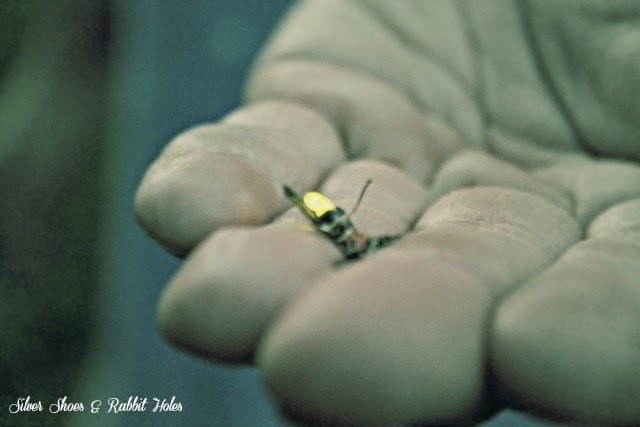 The simple story of a firefly looking for company on a summer night. The small board book, with its light-up last page, was a favorite of my both my daughters when they were very small. 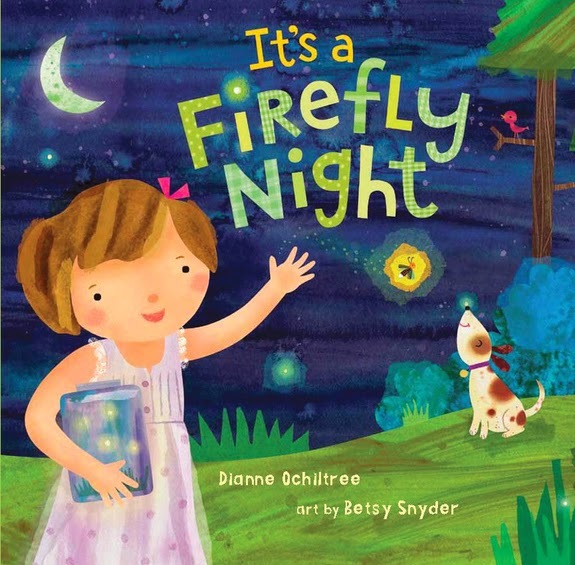 It's a Firefly Night by Dianne Ochiltree, illustrated Betsy Snyder. Blue Apple Books, 2013. Another lovely choice for small children. 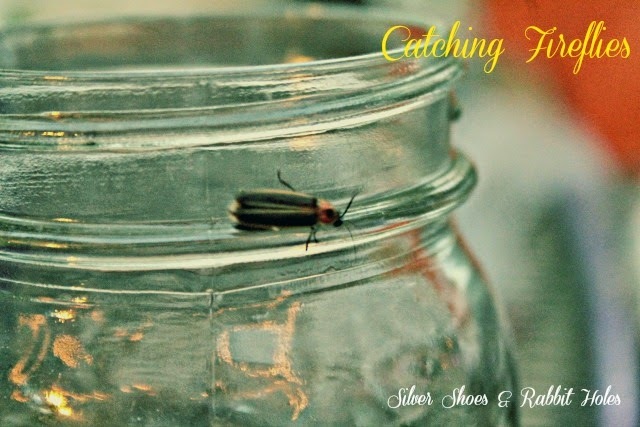 A little girl catches fireflies in a jar to show her daddy. Then she reminds us, "I love catching fireflies, but they are not mine." She releases the insects, and watches them fly. 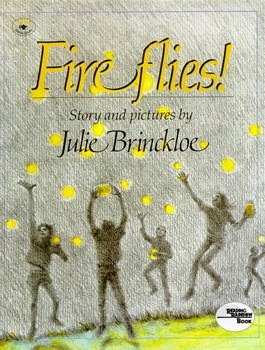 There are also fun facts about fireflies at the end of the book. You can read a bit more about fireflies on the National Geographic website and on Firefly.org. I also found this lovely video on YouTube a man made of his firefly time-lapse photography. EDIT: Here's an awesome video about fireflies from Science Friday. Did you know there are over 2,000 species of fireflies worldwide? How lucky you are to see fireflies. I have never seen one in person. Do you release them after you catch them? Do they really die overnight? I would never try to keep them in a jar for good. I'm sure they wouldn't live long like that. Honestly, the ones we got into our jar refused to glow as long as they were trapped. I love sitting outside and watching them light up in the night, though. They're like little fairies! All these bug books are now on hold at our local library! Thank you! omigoshness, what a cool theme for a book roundup! and how cool that you live in an area with fireflies!!!!! 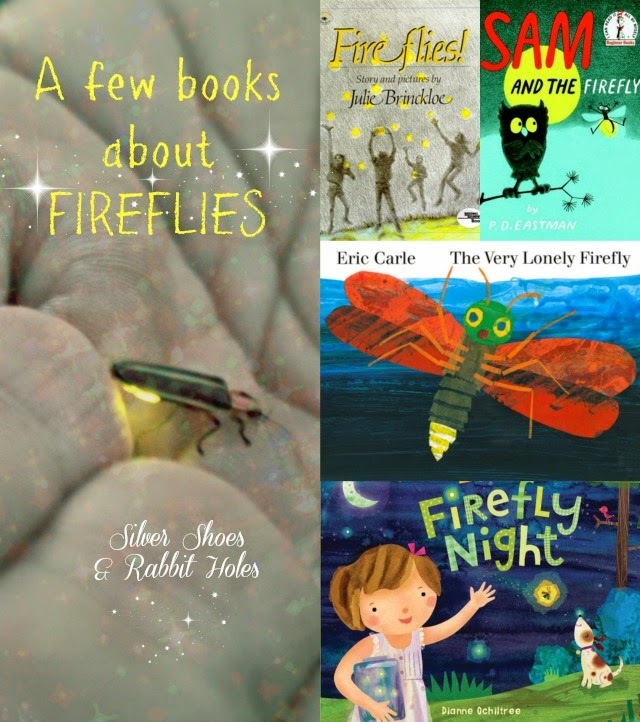 I've never seen a firefly - only in kids books. Love this selection. Thanks! I hope you see one someday. They're just a plain little beetle, but in air, glowing, they're very special. I've never seen a firefly... but I do think they're lovely when they glow. I 've never seen any of the books either, not even Eric Carle's- but they look great. What a cool theme! The Eric Carle book requires batteries: the fireflies light up at the end! Fireflies are so magical. I simply adore them. They truly are. Our firefly season, alas, has come to an end, but then again, the girls start school next week. Back to earlier bedtimes. Sigh.